Lagos State Governor Akinwunmi Ambode has said the country should empower every group in the society and listen to their views and aspirations, saying it is only then Nigeria can truly end extreme poverty. The governor, who stated this while delivering a paper at the 75th Anniversary Business Lecture of Island Club, said Nigeria should aggressively pursue strong social inclusion policies to build a virile nation where every member of the society is catered for. Speaking on Nation Building: Communities, Inclusion And Prosperity, he said presently there were various indices that present a worrying picture, stressing that the country must address it by taking actions that would change the narrative and engender prosperity. His words: “A sustainable path towards ending extreme poverty and promoting shared prosperity also involves creating an inclusive society, not only in terms of economic welfare but also in voice and empowerment of all groups. “We must begin to realise that every strata of the society counts, we must listen and accommodate all views, whether they are poor, whether they are Igbos, Hausas, whether they are Muslims or Christians. “An inclusive society must have the institutions, structures and processes that empower local communities, professional associations, artisans, CDAs so they can hold government accountable. “It also requires the participation of all groups in society, including traditionally marginalised groups, such as ethnic minorities and indigenous populations in decision making processes,” he said. 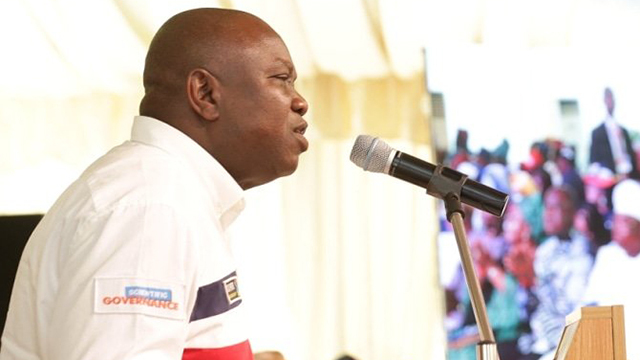 Citing the Lagos example of inclusion and prosperity, Ambode said his administration in the last three years has continued to upgrade its infrastructure, which according to him would have improved the lives of Lagos residents and the economy. In spite of the population and migration challenges and pressure on physical and social infrastructure, we believe every Lagos resident must have the opportunity to grow, develop their own skills and contribute to their families and communities in a meaningful way. The governor argued that to ensure inclusion and evolve prosperous communities, social policies should move beyond conventional social service approaches towards development goals of equitable opportunity and social justice.